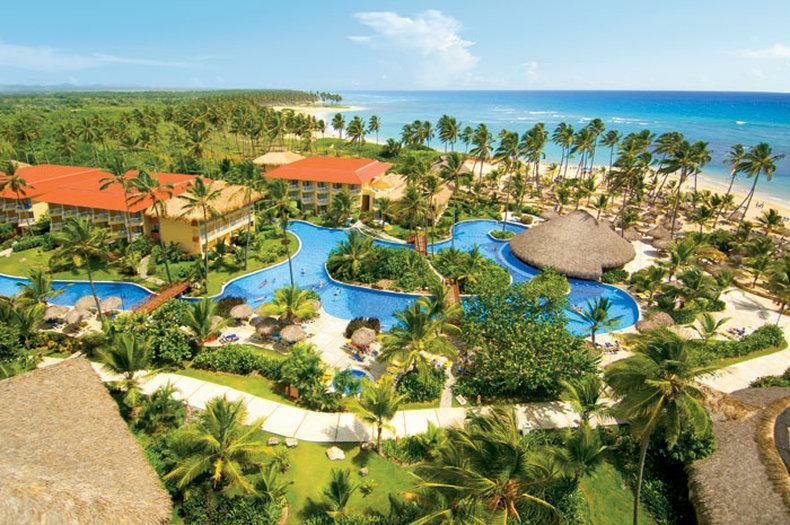 Dreams Punta Cana Resort and Spa is a secluded family-friendly, all-inclusive resort, located about 30 minutes north of Bavaro, Punta Cana on a pristine stretch of spectacular beach. This Unlimited-Luxury® resort is undiscovered treasure, offering an ideal vacation escape for active couples and families with children. Dreams Punta Cana boasts a magnificent free form swimming pool that winds from the lobby down to the beach, and includes waterfalls and a swim-up bar. A wide choice of a la carte restaurants, chic bars and live shows complement the vast array of activities including an ocean trampoline, an expansive spa and fitness center plus an onsite casino. With so much to choose from, Dreams Punta Cana is the perfect escape from everyday routine. Retreat to your luxury room or suite with a private balcony or terrace, stunning views and more. Dreams Punta Cana Resort & Spa features 620 guestrooms and suites – each luxuriously spacious, airy and bright. Explore our international array of specialty restaurants where reservations are never required. Choose from six à la carte restaurants, a buffet and a café. Stop by our Dominican tropical fruit market for fresh, seasonal fruits by the pool. Or enjoy a romantic dinner in your room. Your Unlimited-Luxury®amenities include all meals. Enjoy 24-hour dining options allow guests to enjoy late night bites at the Coco Café. Or stay in and order room service, available at any hour day or night. Gluten free options are available. Do as much or as little as you like at Dreams Punta Cana Resort & Spa to make it your perfect vacation. Float down one of the largest free-form swimming pools in the Dominican Republic, stretching from the lobby all the way down to the beach. Try your luck in our on-site casino. Spend the afternoon shopping for local handicrafts, jewelry and gifts. Or tee off at a nearby professional golf course. The Explorer’s Club for Kids, children’s play areas on the beach and activities specially geared to the teen crowd will provide lasting memories. A romantic place for weddings and honeymooners as well, Dreams Punta Cana features a romantic wedding gazebo and wedding packages. The exclusive Preferred Club offers a VIP level of service designed for the most discerning travelers with access to a private club lounge, personalized concierge service and upgraded amenities. Dreams Punta Cana also offers a romantic setting for couples looking to relax and find solitude. Three wedding packages are available; plus, a complimentary honeymoon and anniversary package is available. And ask your agent about our wedding packages, and get married in paradise! Dreams Punta Cana is now Rainforest Alliance Verified!